We just keep serving up book recommendations while you find places to put them! For the uninitiated, if you’re running out of space on your physical bookshelves, Off the Shelf has a virtual one for the must-have books you find on our site. And over the course of five years, you’ve taken good advantage of it! Don’t stop—there are even more recommendations in the years to come. Don’t have an account? Start building “Your Shelf” today! Simply sign up for an Off the Shelf account. Then, when you see a book you want to add to your reading list, click “Add to Your Shelf” below the book cover, and we’ll save your favorites for you. These are the 25 “most shelved” books on Off the Shelf of all time. Beloved by millions of readers, ALL THE LIGHT WE CANNOT SEE follows a blind French girl and a German boy whose paths collide in occupied France as they both try to survive the devastation of World War II. The breakout hit of 2014, this beautiful novel was a finalist for the National Book Award and won the 2015 Pulitzer Prize for Fiction. If you haven’t read this one yet, it should be at the top of your spring reading list. Ove is a lonely and cranky old man with staunch principles, strict routines, and a short fuse. When an annoyingly friendly couple and their two children move in next door, Ove finds himself with several unexpected new friends, an unkempt cat, and a new outlook on life. When a dead man and a living baby wash up on the shores of a remote island off the coast of Australia, the lighthouse keeper and his wife decide to claim the baby as their own. When they later return to the mainland, though, they learn their choice has had devastating effects. Read the full review of THE LIGHT BETWEEN OCEANS. There are two sides to every story, and FATES AND FURIES is perfect for fans of dramatic romances told from alternating perspectives. At the core of this expansive, layered novel is a dazzling examination of a marriage over the course of 24 years. Elsa is seven years old and different. Her eccentric grandmother is Elsa’s best—and only—friend. When she dies and leaves behind a series of letters apologizing to people she has wronged, Elsa discovers that her greatest adventure is just beginning. This is the heartfelt and humorous second novel from the author of A MAN CALLED OVE. This warmhearted love letter between a granddaughter and her grandmother explores big emotions with wisdom and charm. When a white indentured servant violates the delicate order of plantation society, she unleashes a tragedy that exposes the best and worst in everyone tied to the estate. Sweeping from 1790–1810, this is a heartbreaking, but ultimately hopeful story of class, race, and familial bonds. Read the full review of THE KITCHEN HOUSE. When a white indentured servant violates the delicate order of plantation society, she unleashes a tragedy that exposes the best and worst in everyone tied to the estate. Sweeping from 1790–1810, this is a heartbreaking, but ultimately hopeful, story of class, race, and familial bonds. Sweeping from North Africa to New Zealand and from Palestine to Japan, this epic captures images of deprivation, terror, and excitement during World War II, from the front lines to the home front, through the eyes of ten distinct characters. Each fights their own private and public battles, while their lives intertwine and diverge and the world burns around them. Read the full review of GONE TO SOLDIERS. Sweeping from the poverty-stricken alleys of Edwardian London to the shores of colonial Australia and back, this intricately plotted tale of physical and emotional journeys is a tribute to the power of storytelling. Read the full review of EVERYON BRAVE IS FORGIVEN. Seventy-year-old widow Addie Moore makes a surprising proposal to her neighbor Louis Waters, a seventy-year-old widower. What follows is the engaging story of two isolated people finding solace in each other’s company, falling in love, sharing memories, and reflecting on their lives—their joys, regrets, and fears. Read the full review of OUR SOULS AT NIGHT. 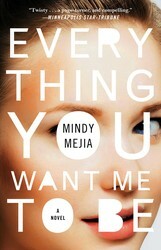 Read the full review of EVERYTHING YOU WANT ME TO BE. Clay lands a job at a mysterious 24-hour bookstore with few customers and almost no book sales. What he discovers about the store and the owner and the world beyond makes this a page-turner of a novel. YOU is a hypnotic tale of obsession, the dangers of social media, and murderous manipulation. When a bookseller encounters a beautiful customer, he tracks her down via her credit card and quickly inserts himself into her life. This contemporary American epic, which won the Pulitzer Prize, recounts the history of three generations of the Greek-American Stephanides family, centering on Calliope, who is intersex and longs to understand why she is not like other girls. Read the full review of MIDDLESEX. Inspired by events in the life of revolutionary anthropologist Margaret Mead in New Guinea during the 1930s, EUPHORIA is an enthralling story of passion, possession, exploration, and sacrifice from accomplished author Lily King. Read the full review of EUPHORIA. Read the full review ME BEFORE YOU and AFTER YOU. Jeannette Walls grew up with parents whose stubborn nonconformity was both their curse and their salvation. In this astonishing memoir, Walls recounts how her family’s dysfunction left her and her siblings to fend for themselves, weather their parents’ betrayals, and finally find the resources and will to leave home. Read the full review of THE GLASS CASTLE. As Barcelona slowly heals in the aftermath of the Spanish Civil War, Daniel, an antiquarian book dealer’s son, finds solace in what he discovers in the “Cemetery of Forgotten Books”: a mysterious book entitled “The Shadow of the Wind,” by one Julián Carax. But when he sets out to find the author’s other works, his seemingly innocent quest opens a door into one of Barcelona’s darkest secrets—an epic story of murder, madness, and doomed love. Read the full review of THE SHADOW IN THE WIND. As Barcelona slowly heals in the aftermath of the Spanish Civil War, Daniel, an antiquarian book dealer’s son, finds solace in what he finds in the “Cemetery of Forgotten Books”: a mysterious book entitled The Shadow of the Wind, by one Julián Carax. But when he sets out to find the author’s other works, his seemingly innocent quest opens a door into one of Barcelona’s darkest secrets—an epic story of murder, madness, and doomed love. Widely considered the Great American Novel, GONE WITH THE WIND explores the depth of human passions with an intensity as bold as its setting in the red hills of Georgia. A superb piece of storytelling, it vividly depicts the drama of the Civil War and Reconstruction. Read the full review of GONE WITH THE WIND. The Game of Thrones and Harry Potter series are both masterworks of imaginative literature that have been thrillingly translated to the screen, but for my taste, I’ll go with Gone with the Wind. Like the Stark family and the residents of Hogwarts, Scarlett and Rhett are such vivid characters on the page that you can’t imagine them being portrayed adequately on film—until suddenly, there they are, each work only enhancing your enjoyment of the other. The unforgettable 11-year-old girl at the heart of this debut is coming of age against the backdrop of an utterly altered world. With crystalline prose and the indelible magic of a born storyteller, Karen Thompson Walker has crafted a story about people going on with their lives in an era of profound uncertainty. Read the full review of THE AGE OF MIRACLES. Read the full review by Richard Fifield here.